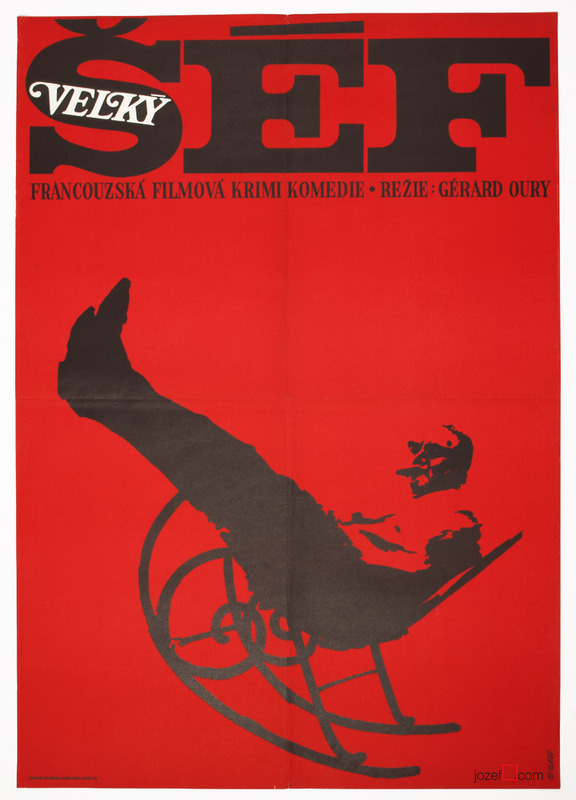 Movie poster designed by Zdeněk Vlach for French comedy starring Jean-Paul Belmondo and Bourvil. 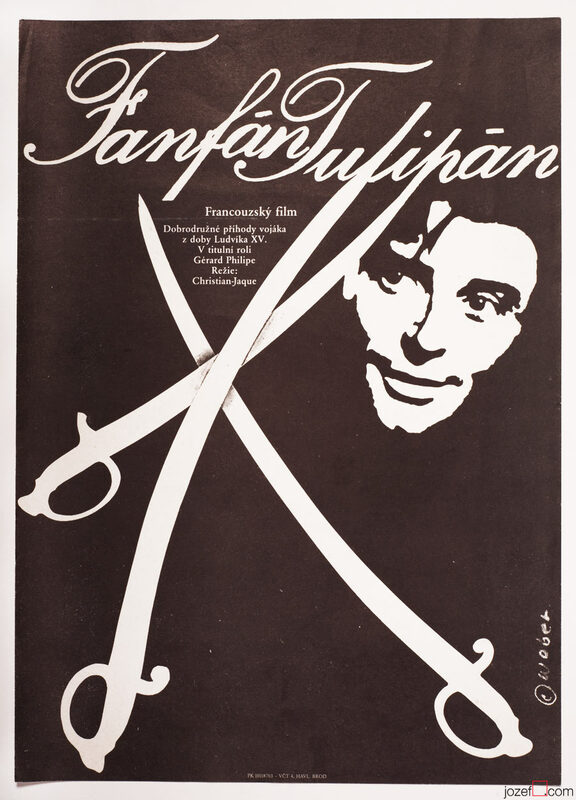 Movie poster with excellent minimalist design for Gérard Oury’s comedy. 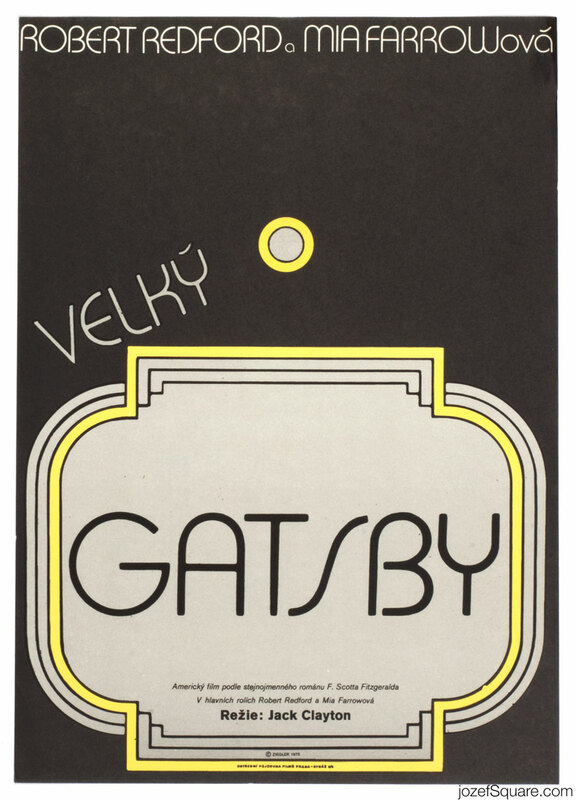 Poster is in A1 format. Folded in quarters with two 3 cm cracks in top and bottom folds. Stained across the folds at the back with some writing. Excellent condition. 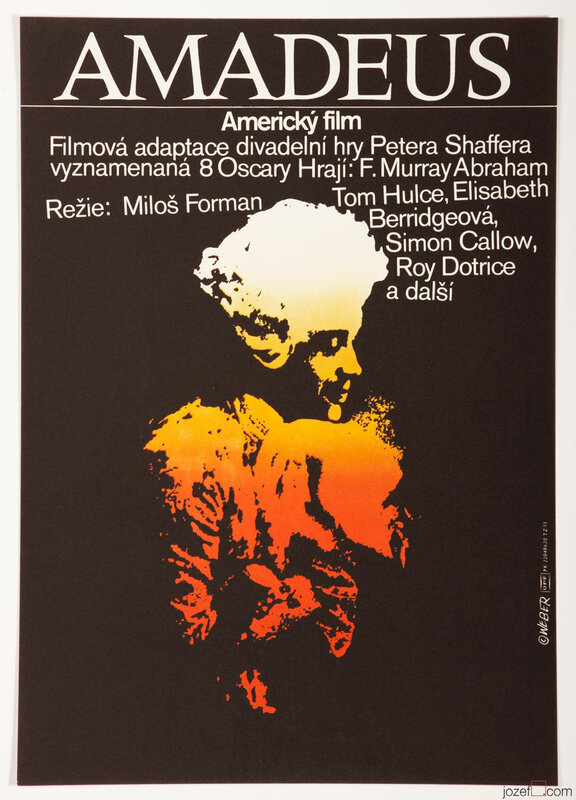 1970s movie posters made by artists from Czechoslovakia. 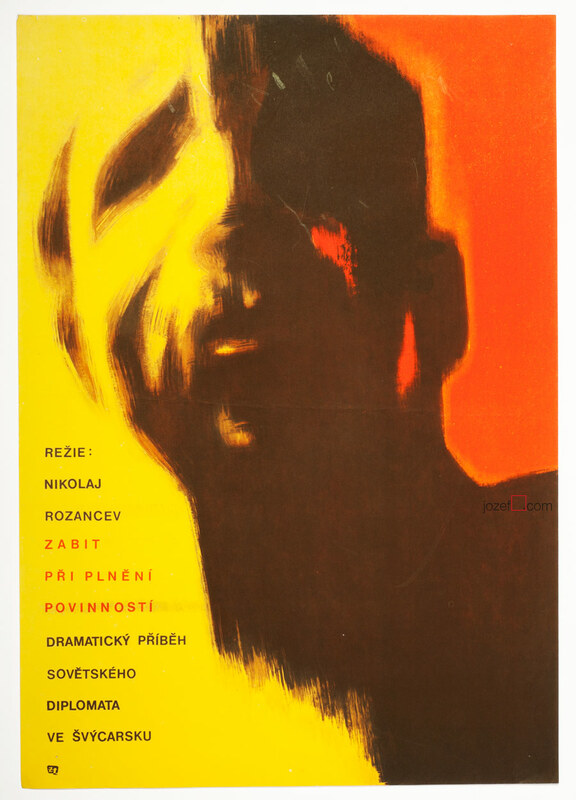 Be the first to review “Movie Poster – Le Cerveau, Zdeněk Vlach, 1973” Click here to cancel reply.